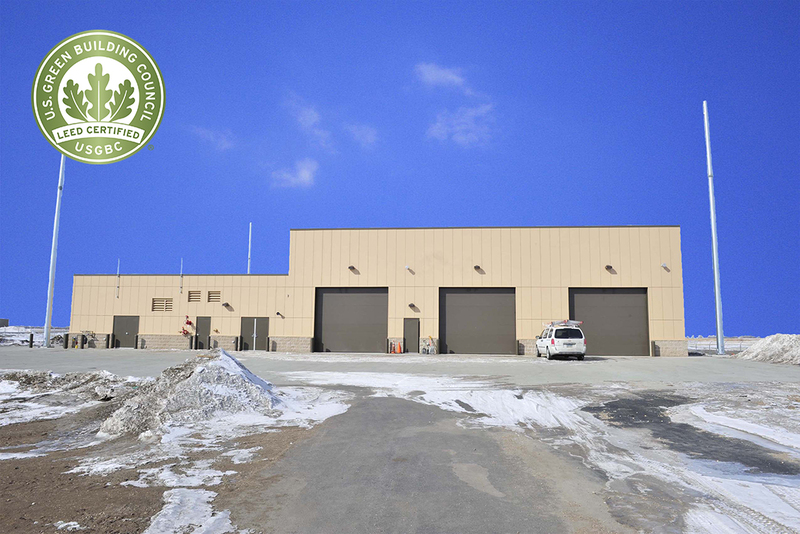 This B-52 Three-Bay Munitions Maintenance Facility (MMF) provides support to the expanded mission and personnel associated with the bed down of 10 additional B-52 bombers on Flight Line Drive at Minot Air Force Base. 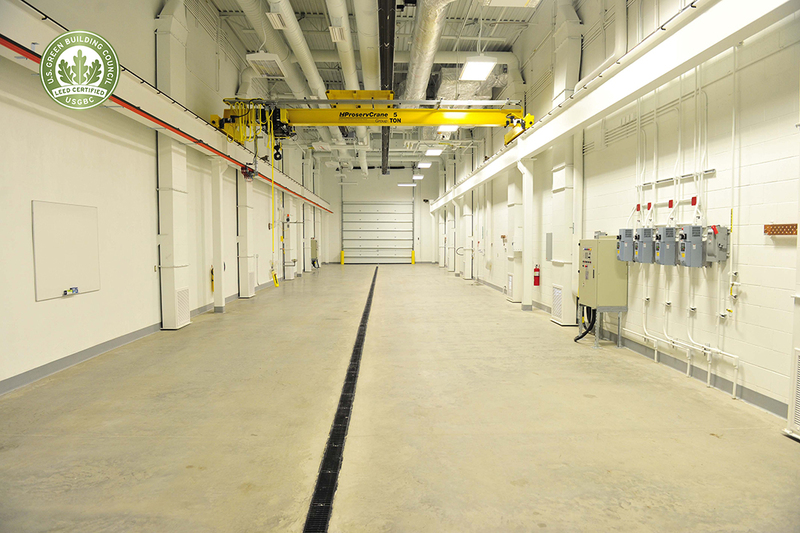 Three munitions bays total 10,056 sf and are classified as general industrial space. They are high bay construction with 16’ ceilings, sloped floors with trench drains, large overhead doors, three bridge cranes and a tool room. 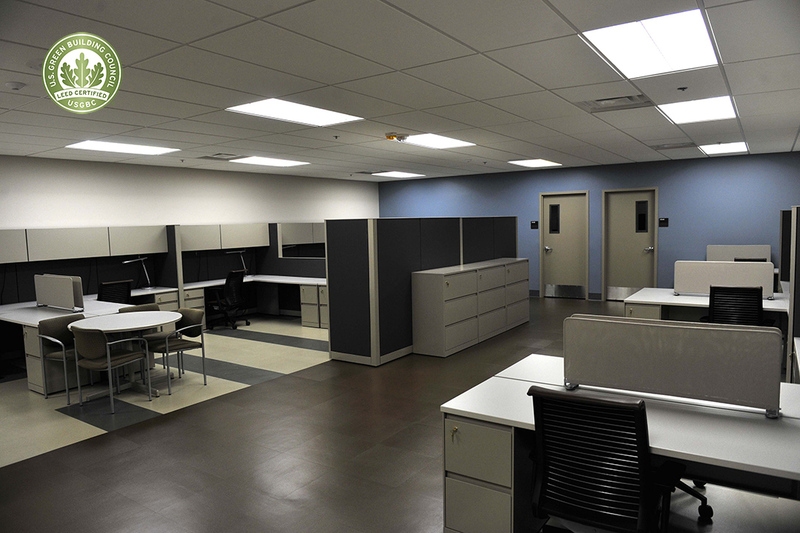 The administrative space connects to the munitions bays and houses offices, locker rooms, break/training room, and firepump, mechanical and electrical rooms.